The forced separation of children from their parents by U.S. government officials has created a human rights disaster. Children—some just a few months old—continue to be housed in tent cities, shelters, and foster care while their parents desperately await word of their children’s whereabouts. In some cases, parents are deported without their children. Recent days have brought significant developments related to family separation—the Trump administration issued a hastily drafted executive order purporting to halt separation of families in the future, and Tuesday night, a federal district court granted an injunction in a class action lawsuit, Ms. L v. ICE, ordering a halt to family separation for parent class members and reunification with their children within specific timeframes. In addition, 17 states filed a lawsuit challenging family separation and policies of turning away asylum seekers at the border. A common thread among these developments is the lack of information regarding policies driving family separation and methods for tracking and reunifying separated family members. Ruling on the injunction in Ms. L, U.S. District Court Judge Sabraw said it was a “startling reality” that the government appeared to do no planning prior to the implementation of the policy, and that there was no system in place for handling the chaotic aftermath. To force the Trump administration to disclose policies and data related to family separation and reunification, a lawsuit was filed in the U.S. District Court for the District of Columbia on Wednesday. Records related to family separation policies and guidance. Data regarding the number of minor children separated from adult family members. Systems for tracking children and adult family members who are separated, as well as coordinating communication between separated family members. Policies and protocols for reuniting separated adults and related children. Complaints the agencies received regarding the policy. 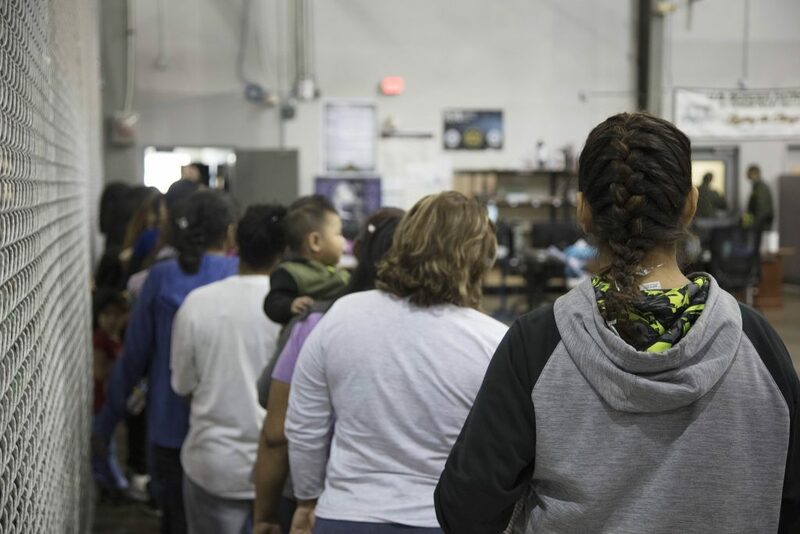 The request specifically asks for documents detailing how CBP, ICE, DHS, Health and Human Services (HHS), and the Department of Justice (DOJ) have coordinated the process of separating adult family members from related minor children. The agencies are also asked to produce documents regarding the screening process for adult family members prior to criminal prosecution for immigration violations, as well as the number of adults referred for criminal prosecutions and credible fear interviews after separation. The suit was filed when DHS, ICE, and CBP failed to respond to the FOIA requests within the timeframe provided under the law. The American people deserve to know how we are treating vulnerable migrants arriving at our borders seeking protection. As this chaotic and tragic story develops, we must continue to hold our government accountable.